Mr. Mangan is an experienced trial lawyer and business and commercial litigator, having tried over 75 complex civil cases to jury verdict in business, product liability and tort cases. 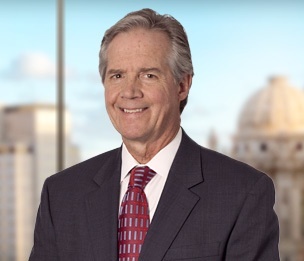 Over the past 30 year span of his career he has represented both plaintiffs and defendants in jury, bench, arbitration, and appellate proceedings in federal and state courts. Mr. Mangan has an active trial practice in Cook, DuPage, Kane, Will, Winnebago, DeKalb, Kankakee and McHenry counties, as well as in federal court. His philosophy is that a cost-effective litigation strategy mandates that trial counsel be someone your opponent knows can, will, and has successfully tried cases to verdict.